This is unique Hydra Inspired Ring. It's best good looking Hydra inspired ring on Internet. Made fro.. This is unique Iron Man inspired silver ring.New red snake skin edition. It's best good looking Iron.. This is unique Shield Agent Inspired Ring. 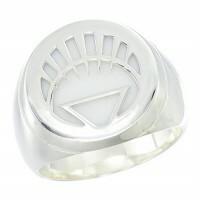 It's best good looking Shield Agent inspired ring on Inte.. This is unique Spider-Man inspired silver ring. It's best good looking Spider-man Inspired Silver Ri.. This is unique Spider-Man inspired silver ring.New red snake skin edition. It's best good looking Sp.. This is unique Thor's hammer inspired silver ring. New snake skin edition. It's best good looking Th.. This is unique Venom inspired silver ring.New black snake skin edition. It's best good looking Venom.. This is unique War Boys Mad Max Inspired Ring. It's best good looking War Boys Mad Max inspired ring.. This is unique Galactic Empire Symbol Ring. It's best good looking Galactic Empire Ring on Int.. This is unique Judge Dredd Badge Ring. It's best good looking Judge Dredd Ring on Interne..